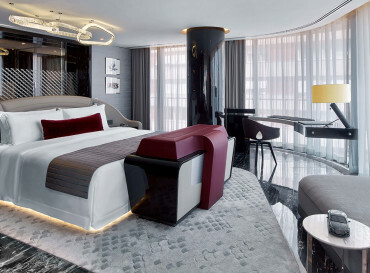 Superior Room Exquisitely designed with an earthy palette infused with Art Deco accents, the Superior Room embraces guests in a world of discerning style, while Abdi Ipekçi Street and Nişantaşı views from floor-to-ceiling windows captivate the imagination. Deluxe Room Stunning views of Maçka Park with the city and bosphorus beyond await Deluxe Room guests. A perfect blend of modern and classic design, the room features the finest finishes and earth tones and decorative contemporary art pieces. Located on the 6th floor, the delightful interiors in earth tones, and the furnished balcony define the grandeur of a Grand Superior Room. From the 6th floor vantage point of their 6 square meter balcony, guests in a Grand Deluxe Room savor impressive views of Maçka Park and the Bosphorus. The St. Regis Suite invites guests to relax in the luxury of 57 square meters, which includes a spacious library-style living area, sumptuous bedroom and guest bathroom. 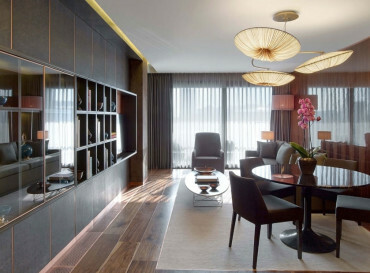 The Empire Suite surrounds guests with every possible luxury. 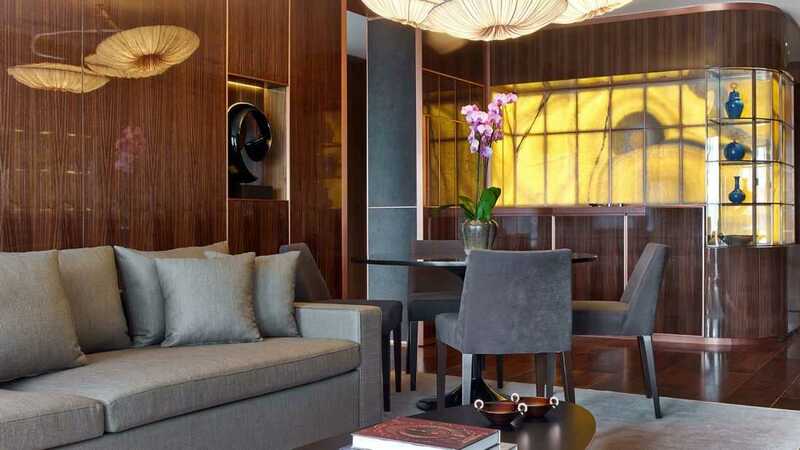 With stunning views of Macka Park with the Bosphorus glistening in the distance, a sumptuous kitchenette and elegant dining area, the suite is the perfect venue for intimate gatherings, beverages or sit-down dinners for four. Caroline Astor Suite Views of Maçka Park and the Bosphorus greet guests of the magnificent Caroline Astor Suite. This graciously appointed space features two balconies, contemporary art pieces from the Demsa art collection, full-length windows, and is decorated in earth tones based on the Art Deco influence. Cosmopolitan Suite The Cosmopolitan Suites promise a spacious terrace for outdoor dining, while the living area features walnut floors and contemporary Demsa art pieces by internationally acclaimed Turkish artists. 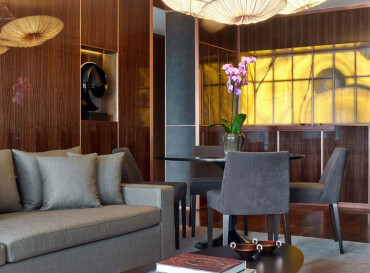 A collaboration between St. Regis and Bentley Motors, the award winning Bentley Suite is truly one of a kind. With an upper-floor location, it unites craftsmanship, luxury, and a design inspired by the Bentley Continental. An oversized balcony with Maçka Park and city views combines with a living room featuring custom details derived from the automobile. 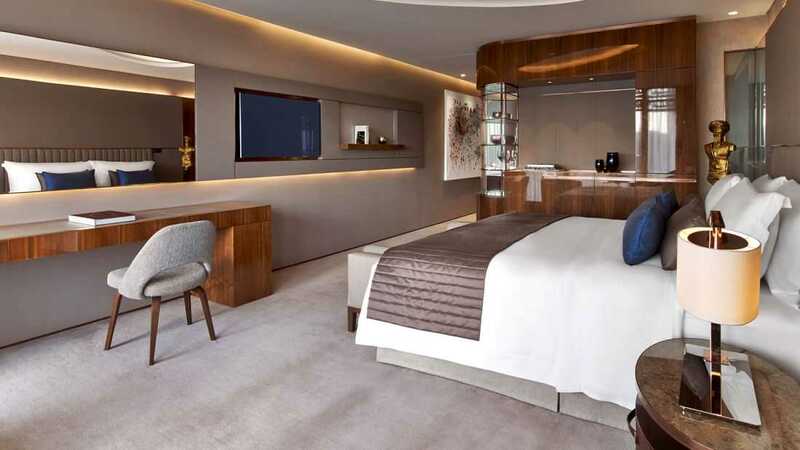 The oversized bedroom houses a signature St. Regis bed, while a dressing room and powder room complete the unprecedented suite. 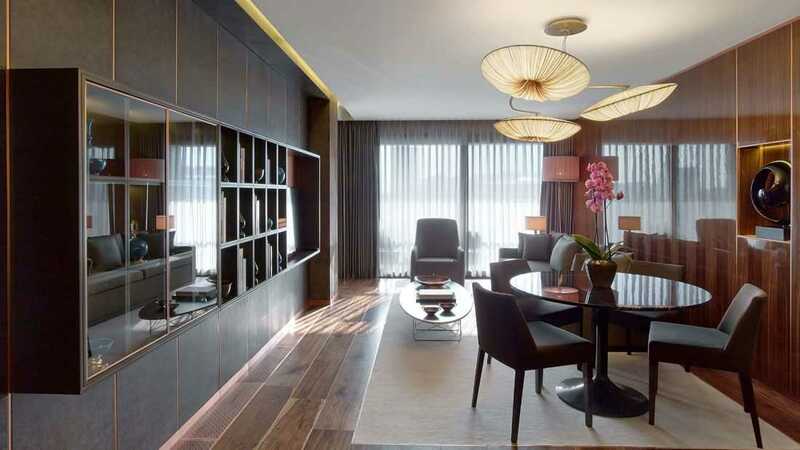 Step into the Presidential Suite and experience sumptuous Istanbul accommodation at its finest. Istanbul is the perfect place for a vacation, conference, or meeting. When you arrive you will find that the St. Regis is perfectly positioned in the heart of Nişantaşı district, the most exclusive part of the city. The “5th Avenue” of Istanbul, it is an epicenter of the social life in Istanbul with the narrow streets, charming art nouveau architecture, international and local fashion boutiques of designers ranging from Chanel and Hermès to Cengiz Abazoglu and Hakan Yıldırım. The very best of cafes and brassieres each offering a matchless experience along with famous Turkish warmth and hospitality, the private art galleries and antique shops and the best of the nightlife elevates the Nişantaşı experience. 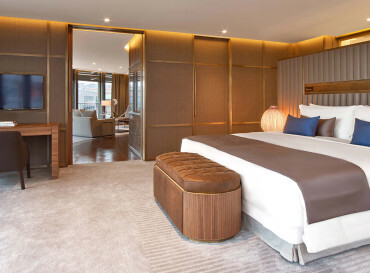 Designed by the award winning Istanbul based Emre Arolat Architects, the hotel’s 118 sumptuous accommodations boast a unique identity of discreet luxury, timeless elegance and compelling grace. The iconic Spago by master chef Wolfgang Puck maintains a cutting-edge role as a culinary force and leader in fine dining. The preeminent trendsetter in cuisine, service and style, this rooftop restaurant & lounge combines stunning views towards Maçka Park and the Bosphorus with contemporary design and signature details that enhance the glamour of the setting. With a signature farm-to-table philosophy, the menu features Puck’s famed wood-oven pizzas, appetizers, handmade pastas, a wide selection of entrées as well as seasonal cuisine with influences from all around the world. The wine cellar offers an uncompromising Californian and international array, elevating lunch and dinner to an unforgettable experience. A seasonal, modern concept is at the forefront of the menu at Spago. Wolfgang Puck takes each guest on a culinary adventure through a new eclectic fusion of dishes mixed with American, Asian and Italian influences. The menu changes with the seasons and availability of produce at the local markets. The dessert path is paved by a seasonal array of delights of seasonal fruits that complement the main menu. Designed with whimsy, desserts are full of surprises. As per the food, the cocktails are anything but ordinary. The cocktail menu pays homage to classics while offering a new wave of mixology with provocative and forward-thinking offerings. Together with the acclaimed Turkish DJ Tarık Koray as the Music Director, Spago Istanbul maintains a bespoke music platform that clearly defines Spago’s iconic identity. Spago Lounge, Monday to Saturday (6 days a week), 7p.m. – 2a.m.